Don’t fall for the health halos surrounding these foods, says nutritionist Naomi Mead. Many shop-bought granolas are packed full of sugar, and while those branded “sugar-free” may not contain sugar in the form of the white powdery stuff, they can still be packed full of sugar in the form of dried fruit, honey, agave or rice syrup. As a general rule, check the label and if it contains more than 15g sugar per 100g, it’s considered “high sugar”. 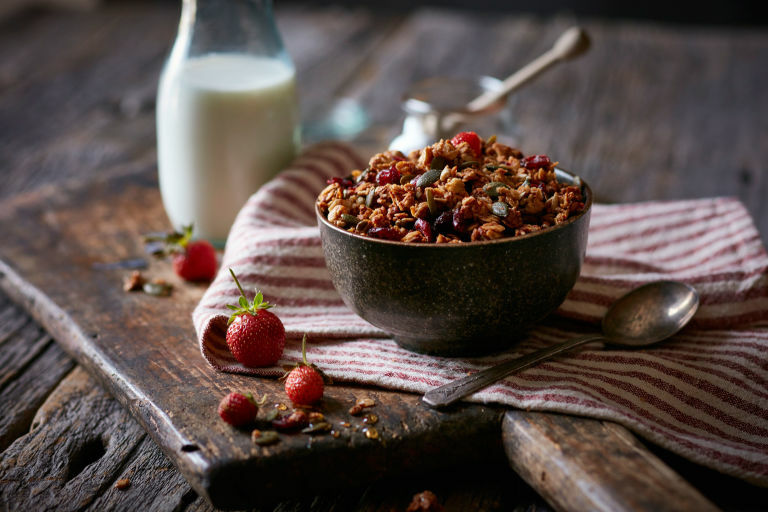 Your own breakfast mix with jumbo oats (or other grains such as buckwheat and millet), and add nuts, seeds and a small amount of dried fruit. They may claim to provide “3 of your 5 a day” (or sometimes more), but this is actually extremely misleading. These smoothies are not only extremely high in sugar (containing the equivalent of up to eight teaspoons in a small bottle), but they are also flash pasteurised which involves heating the ingredients to a very high temperature. This concentrates the sugars in the fruit, while destroying many of the valuable vitamins and antioxidants. As a general rule, avoid ambient smoothies (which will have been heavily pasteurised and probably also have additional preservatives), stay clear of smoothies made from “concentrate” (very high in sugar), and be wary of juices or smoothies with “added vitamins” – they’re likely to have been heavily processed and overly messed with. Your own homemade smoothies. 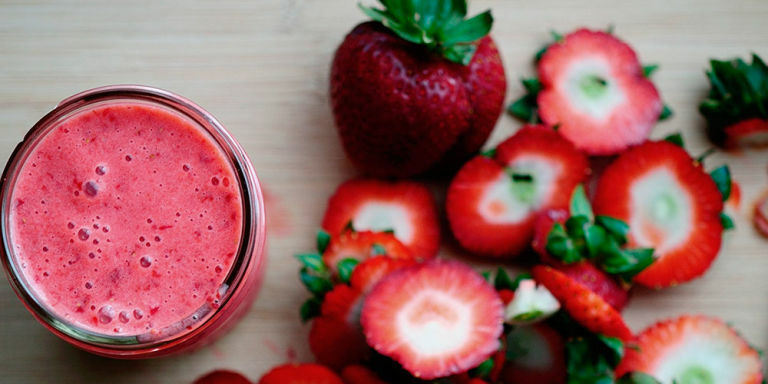 You don’t need a flashy juicer, just a basic blender will do. And get creative! Ideally use a mixture of fruit and veggies to keep the sugar content down. Often touted as a “diet food” thanks to their low-calorie content, anyone following a diet consisting largely of rice cakes has probably realised that they do very little to fill you up. They are also extremely high GI (glycaemic index), meaning that the carbs they contain become absorbed into your bloodstream very quickly, sending your blood sugar on a rollercoaster. This spells bad news for energy levels, hunger pangs and weight loss. Oat cakes or brown rice cakes – they’re higher in fibre, vitamins and minerals and because they are made from the wholegrain, they are lower GI and will keep you fuller for longer. You wouldn’t sit down to a bowl of 10 apricots would you? And yet it’s very easy to eat 10 (or even more) dried apricots in one sitting. While dried fruit is fine in small amounts, it’s easy to eat quite a lot of it – and this can have a very high sugar content. Also be wary, as a lot of dried fruit is preserved with sulphites, which many people can have sensitivities to. Whole fruit instead where possible. If eating dried fruit, only have a small amount: the equivalent of what you would eat as a whole fruit! As a snack, raw nuts make a much better alternative, they’re high in protein and fibre to keep you satisfied. Forget white-egg omelettes, always eat the whole egg. Our collective fear of eggs has remained ever since we were led to believe that they were high in cholesterol and would increase our risk of heart disease years ago. 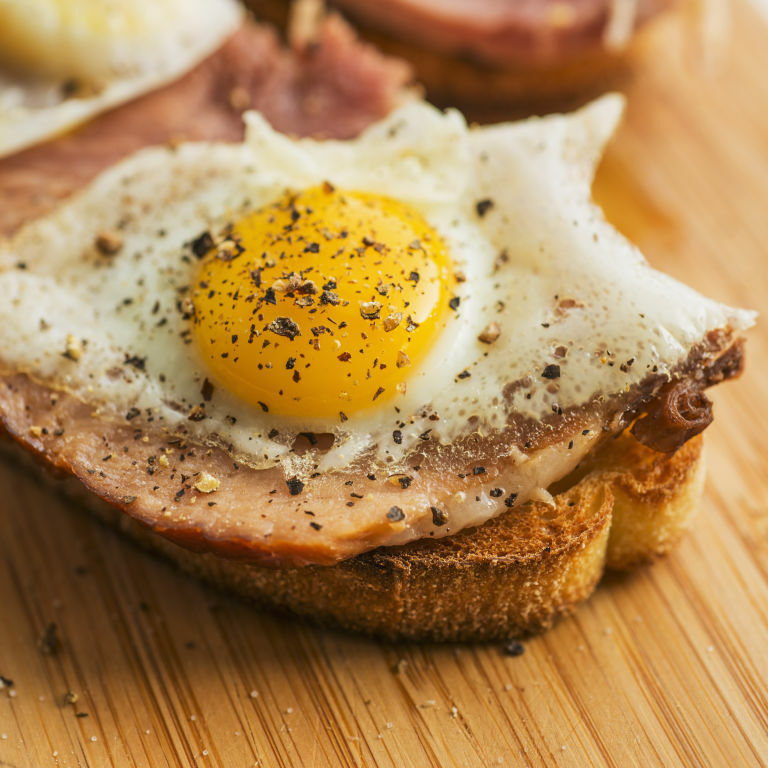 We now know that dietary cholesterol has very little impact on our blood cholesterol levels. Although the white is where the protein is, all the wonderful nutrients, such as choline, omega-3 fats, antioxidants and vitamins D and B12, are in the yolk. Whole eggs. Always choose free-range: not only are they from happier chickens, studies show that they contain a higher proportion of nutrients. Often recommended as a healthier alternative to meat and dairy, the truth is that soya products are very often highly processed, genetically modified and potentially detrimental to our health. While fermented soy products such as miso have some important health benefits (always choose organic), I would recommend avoiding processed tofu and soya products, such as soy milk and yoghurt. Other vegetable sources of protein including beans, lentils, quinoa and seaweed. For non-dairy milks choose oat, brown rice or almond milk.